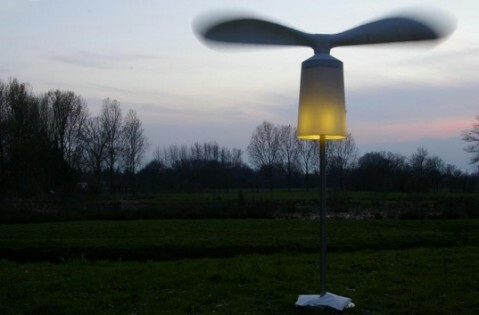 Inspired by the sweeping dutch windmills, the ‘light wind‘ It is a self supporting light source. Sculptural. Cool.